Wow, that is a long title! I’m not even sure where to start with all of that stuff to talk about! I guess just a brief (er…sort of!) thank you to everybody who supports IBIH with your comments, emails, sharing links/pinning the recipes, and for coming back to read my ramblings again and again! Somehow the blog has gotten over 2 million hits in its first year and I never saw that coming! I remember being excited when I would get more than one hundred hits in a day! 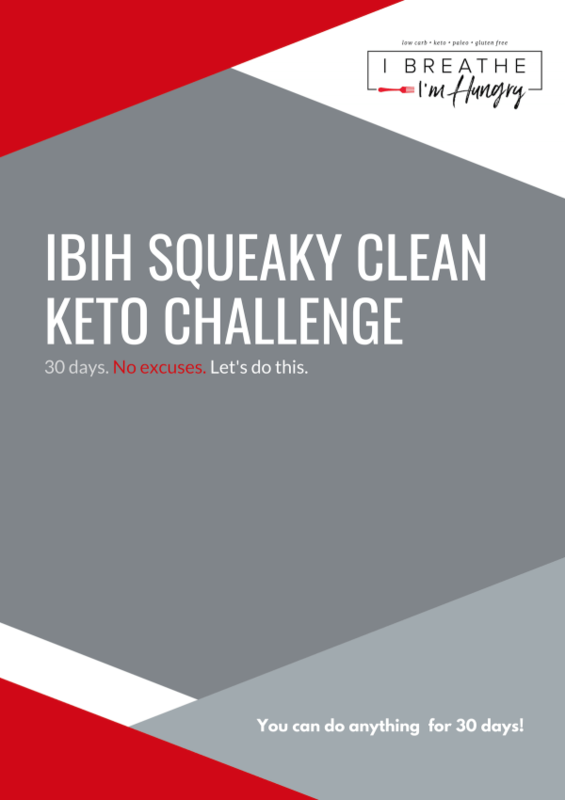 IBIH has seen a lot of change over the past year, but none bigger than in January of 2012 when I decided to post a week of low carb recipes for people trying to lose weight after the holidays. There was such an enormous response to the low carb recipes that I just kept going, and even started eating low carb myself. 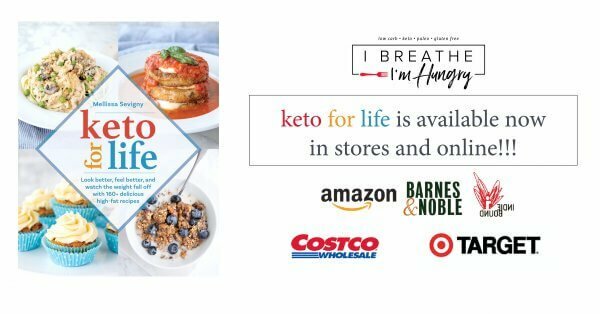 I was a little nervous at the time that I would be “stuck” blogging low carb recipes forever. I worried that I’d stop eating low carb, and then I’d want to return to blogging “normal” recipes eventually. It’s with all of that in mind that I wanted to celebrate my one year blog-iversary with a giveaway that shows my appreciation for you guys! I had contacted Magic Bullet about hosting a giveaway a month ago and they never responded (I guess I’m not big enough yet! ), so I’m going to host it myself. I consider it money well spent! 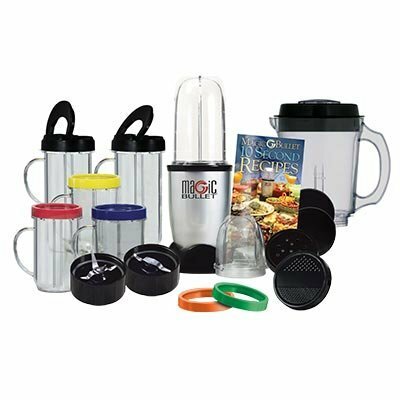 I use my Magic Bullet pretty much every day, and often multiple times in the same day! It makes executing a lot of my recipes so much easier, so it’s the perfect gift from me to you – well one of you anyway! The winner will receive the Magic Bullet Deluxe 25-Piece set which will ship directly to you. To enter, simply leave a comment on this post that includes a way to contact you. I solemnly swear that IBIH will not share or use your email for any purpose other than to contact you if you win. For extra entries, follow IBIH by RSS or email, on Pinterest, on Twitter, and like us on Facebook – leave a comment for each. You can also pin/share/tweet about the giveaway to your followers for extra entries – then leave a comment with a link. The winner will be picked by random number generator, so to get credit for each thing make sure you leave separate comments for each. If you don’t leave contact information your entry is forfeit because I’ll have no way to reach you. Finally, this giveaway is open to US and Canadian residents only – apologies to everyone else! I’m excited about it and I hope you are too! Oh yeah, and the deadline for entry is Tuesday, July 10th at 8pm Eastern Standard Time (EST). Update: This giveaway is closed. Congrats to Andrea C who won the Magic Bullet! Hope you love it as much as I do! Now finally, on to this Pavlova! I’d never had one before but I see pictures of them everywhere. I did some research and found that they are essentially a meringue but that the addition of cornstarch and vinegar makes the inside stay marshmallow soft while the outside is supposed to be crisp. This the second time I’ve made them, the first time they got too brown so I never took photos. I was determined to get a nice white pavlova and it just didn’t happen. This batch still turned golden which wasn’t as pretty for the pictures but they are definitely delicious! A major factor in the crispness of the outside is humidity. Well it’s summer in the South so guess what? It’s humid people! And I mean REALLY humid! So these weren’t as crisp as I imagined – but if I want them crisp I’ll have to try again when the weather breaks – it didn’t bother me, they were awesome as is. A traditional pavlova is filled with whipped cream and fresh fruit. I wanted to use lemon curd for something different, and because I love lemon and blueberries together. This was so good – I can’t wait for you to try them and report back! Beat the egg whites until soft peaks form. Add the Xylitol, a couple of Tbsp at a time, blending well after each addition until glossy and stiff. Beat in the vanilla extract, then sprinkle the cornstarch and lemon juice over the top and whip until it holds it’s shape. Spread or pipe the meringue onto parchment paper to make six circles about 4 – 5 inches in diameter. Make sure there is a dent in the middle for the filling. Bake in a preheated 250 degree (F) oven for 30 minutes. Turn the oven off and leave the meringues in for another 30 minutes or until firm and (hopefully!) crisp on the outside. Once cooled, the meringues can be stored in an air tight container for up to a couple of days. 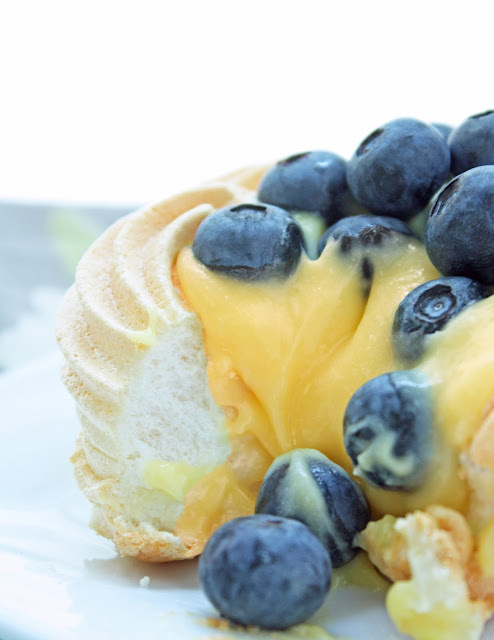 Don’t assemble the pavlovas until right before serving or they’ll get soft from the lemon curd. 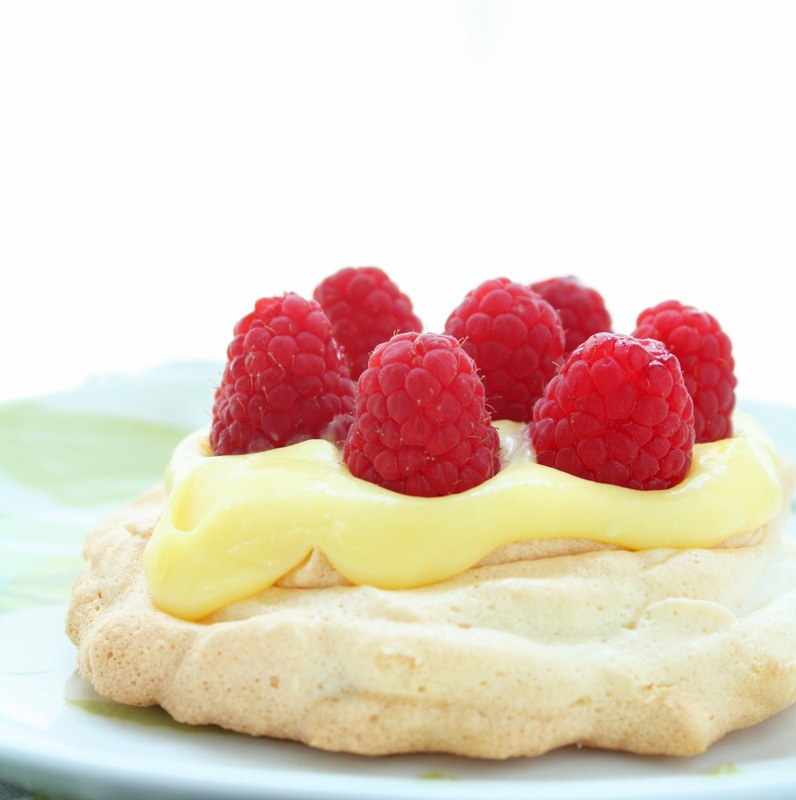 When ready to serve, fill the centers of the meringues with about 3 Tbsp of lemon curd. Then top with berries and serve immediately. Piping the meringues out of a star tube is pretty – but as you can see, just spreading them out with a spoon also creates a nice rustic look and it is easier to do. Raspberries or strawberries will work just as well as the blueberries, so it’s really a matter of personal preference. Enjoy! I made these for Easter this year but with lime instead of lemon (use what you have) and they were fantastic! Having a LOT of lime curd left I then whipped some cream and folded lime curd in and then froze this mixture in individual cups for my own version of those two guys’ ice cream. SO SO GOOD!! Hi Mellissa I have just found your site and have made the mashed cauliflower(delicious) I added a few extra’s(garlic,shallots & freeze dried onions. Thanks for your blog and recipes, I have subscribed and am looking forward to loosing lot’s of excess weight. Awesome Sharon, let me know how it compares to your original recipe!!! I don’t see why not Natalie, the erythritol would probably work better than the stevia if you have it! Enjoy! This looks wonderful! So refreshing… Thanks for sharing your recipes! hello! isn’t corn starch… a starch and therefore not suitable for low carb and especially keto? My god! I never thought of the fact that pavlovas fit into keto…I make them all the time for family holidays! This realization just made my day. Thank you! 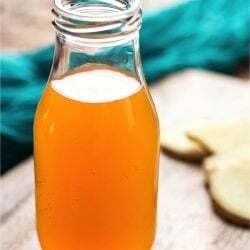 I do a lot of home canning and I’ve been looking for a safe recipe for a canned preservation of sugar free lemon curd, could this recipe be canned? I’m really not sure about that and I’d hate to have you try it and it not work or someone get sick – better do some more research first! 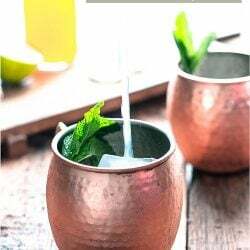 Your recipes are beautiful, your photographs inspiring and your prose invigorating– I only wish I could find your recipes better on your blog. I come here wearing a couple of hats. First of all, I’m a foodie. Secondly, my health demands that I eat low carb. But along with those “visitors” comes me as professional Web and blog designer– and that part of me tears my hair out when I visit your blog because it has no functional navigation. There’s simply no way of finding anything– a fault of many blogging themes very badly designed. There’s no table of contents, no place on your blog to visit archived blog posts organized by Year/Month, and there is no place where a visitor can find Recipes organized into types. There’s no place to find a recipe based on ingredients, etc. etc. It’s very frustrating to the foodie in me. But drives the web designer in me over the edge. Your excellent work as a food creator, photographer and writer deserves a better-working theme design– one that helps your visitors find what they’ve come for: beautiful, imaginative low-carb recipes nicely organized so they can be appreciated and enjoyed. Sorry to vent, but I know your blog could get a better and bigger audience if the theme design worked better. Hey congrats on a year of blogging. I love pavlovas! Yum. 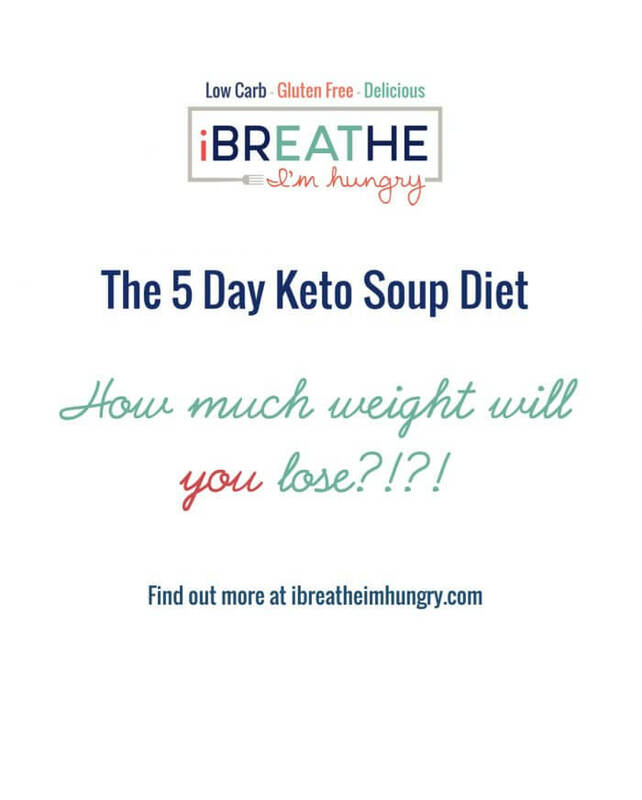 Just started on a keto diet and love your blog! kborge@gmail.com! Keep it up! Thank you again! Can´t wait for the e-book! Wow, I’d love to win your contest!! 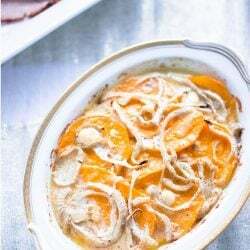 I just found your blog and LOVE all your low carb recipes! I found you on Pinterest then started to follow you on Facebook. You have inspired me to start cooking again. I wish you continued success and can’t wait for the new ideas you bring to get me cooking. ….and following several of your pinterest boards! Thanks again, for the opportunity to win! Signed up for emails and looking forward to them! How very kind of you to offer a Magic Bullet to a reader. I’d possibly do better at low carbing with one. I owned a magic bullet and loved it but it wore out and would love to have a new one. 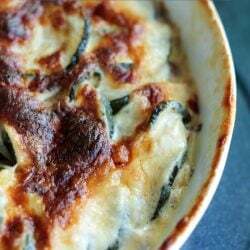 I love you blog and enjoyed reading the low carb recipes. I can’t wait to try them. I am new to the low carb but have lost 10 lbs so far. These recipes will make it fun to eat. Oh how Id love to have a magic bullet. I used to spend Wednesday afternoons with a very dear friend. We would talk and write letters to people who were shut in by illness or grieving. Inevitably we’d end up cooking something and often used the bullet to prep ingredients. Thats how I fell in love with MB. And I totally want one! I am on the email list. I dont have a pinterest account, but I quielty stalk you on there. Wish that counted for an extra entry. lol…. My family is loving your recipes. Our sad little blender is on it’s way out, so I’d love to be entered in the Magic Bullet giveaway! Thanks for all of the great recipes! You have helped my bf and I lose a combined 70 lbs on a low carb diet. Thanks! I have tried several of your recipes and I follow your blog by email and pinterest. You rock! My email address is gjester515@yahoo.com and I would LOVE, LOVE, LOVE a magic bullet!!!! LOVE your Blog!! I have done several of your recipes and can’t wait to try this one! Hit the button before i was done. I do subscribe to ur email @ reetytru@gmail.com & facebook. I am not on twiter so sorry abt that one :) U ROCK!!!!!!! I have just discovered your blog and find it just delightful. I look forward to trying out your recipes in the future. First off i want to say happy 1st bloggiversary & many more to come! u rock & i love ur recipes! U have made me such a happy lady being able to maintain my life with these wonderful recipes! Thanks for all u do! Just so u know iwould lovvvvve a magic bullet! They rock too! Thanks for adding so much variety to my sugar free life!! 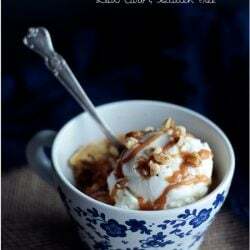 Love your recipes…have tried few and will try definetly more of them , pavlova’s next on my list. Owowow…I hope I’m not too late! I would looooooooooovvve to be the onwner of a magic bullet! I’m So thrilled to have come across your blog. My husband and I have been doing low carb for 4 months and I’ve lost 55lbs. Your recipes have added new life into our menu. Thanks for sharing your creativity! Love your blog! congrats on your 1 year!!! Congrats! My email is wirean79@gmail.com. Congrats Mellz. 1 year of awesomeness. I adore you girl. You are a total rock star. I can enter this one. Whoo to the hoo. And dude you totally know how to reach me. Email, blog, facebook or heck call me. Lol. I might even say eh for ya. So glad to find this! 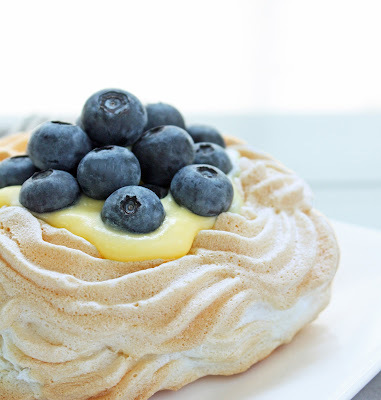 I love pavlovas, but the traditional ones are just too, too, too sugary. And a sugar-free lemon curd recipe, too! I’m in dessert heaven (or will be soon). Congrats on your blogiversary! I’ve been planning to try your sugar free lemon curd. I could be contacted through my Google profile here. Happy first year! And you’re celebrating with a terrific recipe – looks so wonderful. Great pictures – thanks for this. I’m so happy to have come across your recipes on pinterest. A few years ago I got the lap band and while I was doing well at the beginning, turkey and eggs get so old. I’ve been slowly gaining over the past year, but your blog inspired me that low carb can be fun and delicious! Thank you. I can’t wait to get back in the kitchen and cook for the whole family! This absolutely has me drooling! Can’t wait to make it. I’m in awe of your creativity; low-carb can be boring at times. Congrats on your success! Found your Cauliflower Tater Tots via Pinterest and just had to check out the recipe. 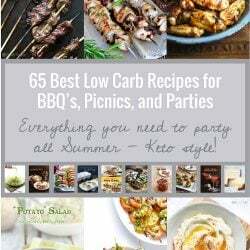 While here I also thought I would check out some of your low carb recipes, as I am attempting to jump back on the low-carb band wagon, again. And what do I find but a give-away. Count me in!! I could sure use a Bullet with all the cooking I do for the fam. I love your blog, it makes atkins so much easier. Also, makes my cravings so much easier to manage. Just about to make some low carb coconut macaroons, and wanted a low carb lemon curd recipe to use the egg yolks, which led me to your blog! Thanks so much for this recipe also! Now I can use the whole egg and not waste part of it. Love your blog and plan to start following it. I always recommend this blog to those looking for good recipes! Very Happy to have found your blog with all of these delicious recipes!!! Eager to have my family try them one by one!! Thank you for the inspiration! And finally, I liked you on FB as well! I also pinned you on Pinterest! and follow your board. I’ve just found your blog recently and I am excited about it as it will make my Atkins journey much easier. I just discovered your blog through pinterest…and I’m so happy I did! 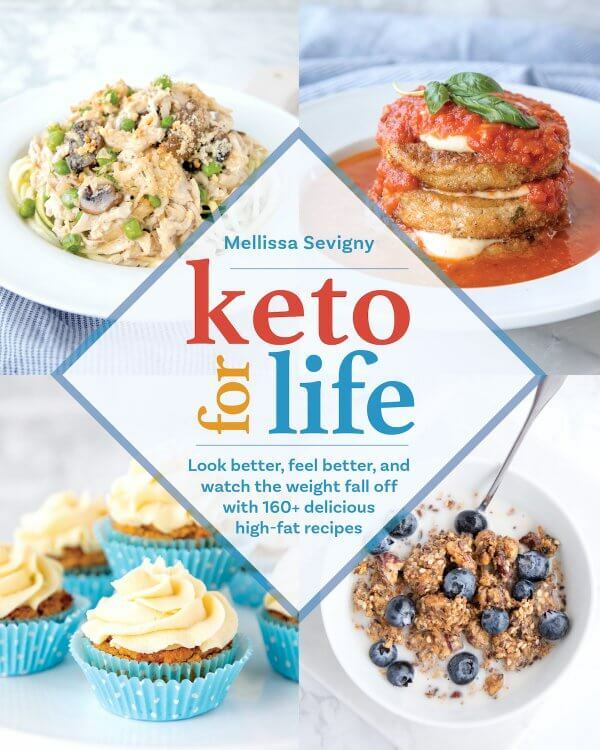 Thanks for sharing your wonderful low-carb recipes along with great photography. Happy blog-iversary and keep those recipes coming. Congrats on your 1 year blogiversary and thanks for the excellent recipes! OMG! Not only did these make my mouth water I got that tingly feeling at the back of my teeth, that one that says I am about to eat something amazing. And that is just from the photos! Can’t wait to make these. Thank you so much. And I want you to know how much I appreciate you moving to the low carb recipes. Before I just drooled at your photos, now I can actually make the recipes too! Happy blogiversary! Happy annuversary!! I have a 5 months old so making baby food is around the corner, winning the Magic Bullet would be wonderful! Congrats on the win Andrea! Hope you love your new Magic Bullet! This is an amazing combination for all the right ingredients needed for good health.The presentation is just perfect…I have a lot to learn from your recipes, photography and food styling…will be back for more…great work.. I love your blog…..and the photos of the food! Happy Bloggerversary! I enjoy your blog and sense of humor! Everything always looks so yummy! kathycousart.com…. 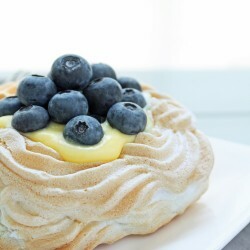 I have yet to make a pavlova, but this one sounds like summer perfection! You can convo me through Etsy. Happy Blogaversary! I am so glad to have found your page! 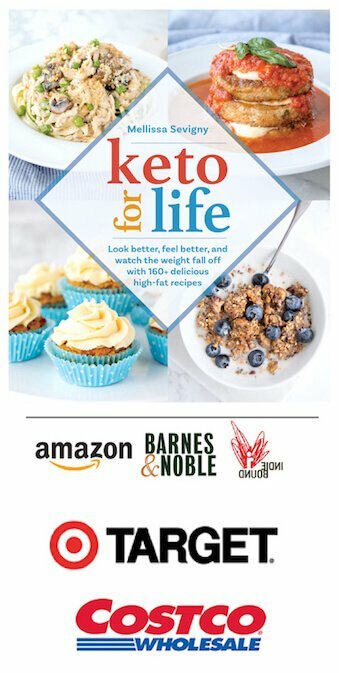 Thank you for all the fantastic low carb recipes! Just found you today. You are an inspiration to get me back into the kitchen for fun, not just to feed my family. Happy Blog-a-versary! Thank you for the low carb recipes, this one looks delicious!!! Mellissa, you are a star! Way to go on 2 million hits!! I do have an American Florida address. I don’t think I can get this gadget in South America. I never win anything though and I’ve run these kinds of contests before, so I know there is a very small chance. Haha! I will like your Facebook page though and check if I already follow you on Pinterest. Sorry, I don’t “get” Twitter. lol Hope all is going well with the cookbook. I’m getting close now with ours. Happy Blogaversary! I love your recipes and try them when I’m home in the States, which I will be permanently in a few weeks!!! I’d love to have a Magic Bullet :) flamidwyfe1@aol.com and of course I’m subscribed to your blog… I look forward to every single recipe! Mmm, I love pavlova :D Yours look great! Congratulations on one year!! Found your blog last week, and I love, love, love it! Huge fan of lemon here, and this looks delish. I will be trying it soon. I follow your pinterest posts too! I LOVE meringues! I was so excited to move back down to sea level, because I couldn’t make them in the mountains – they never turned out right. I remember the first pavlova I ate in London….with lemon curd! So great! I never thought I’d be able to make these sugar free. I can’t wait to try them! Happy blog anniversary! Here’s to hoping that next year magic bullet beg you to do a giveaway ;). Yay!! A *sweet treat* without any almond or coconut flour! THANK YOU!! And a huge congrats on the 1-year milestone. I just love your blog (& your Pinterest)! I’ve tried to make meringues before with splenda, with disasterous results(could have been my crap oven as well, to be honest). These look amazing! 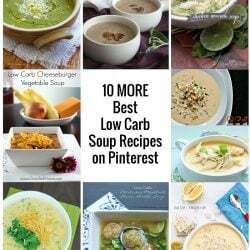 Thank you for the great low carb recipes, so many of yours have become favorites of mine! Girl you better send me that magic bullet ASAP! Love the blog and your recipes! Terrific give-away and an especially good recipe today! Happy Blog-a-versary! I just started low carb and am sooo happy to have found your blog. Makes eating right delicious! Yay on the hits! I love your blog! I follow IBIH b email. And I also shared the giveaway on Facebook! The meringues look amazing, but I’m just curious if there’s any particular reason you used cornstarch instead of cream of tartar? I also retweeted this giveaway! I also follow you on twtter! I realllyyy need a magic bullet. I love all your recipes, especially the cauliflower mash and the orange chicken! I found you on the Jennifer Eloff site. I am so glad you are posting LC recipes. Your recipes are terrific. I would love to win the Magic Bullet. Please keep up the good work. I follow IBIH on Pinterest! I follow IBIH by email! What a great giveaway! Thanks for offering this! thanks for your help in my personal war against my diabetes!!! I have a bowl of cauliflower puree in my fridge right now. Turning some of it into shepherd’s pie later. Happy 2 million hits Melissa. You go girl. Excellent! I made your lemon curd recipe 10 minutes after I read it. Holy Cow, I love it!!!! Thanks for what you do, we all appreciate it! This looks sooo yummy!!!! Can’t wait to try it! rtshetye@gmail.com Magic Bullet !!!!!!! I love your blog!! Here’s to one year and many to come! Thank you for your inspiring recipes and for being so super cool! corscorp@gmail.com LOVE the lemon curd! LOVE LOVE LOVE your recipes and open voice in your story. Thank you for providing a real life view of eating low carb. I just pinned your sugar free lemon curd yesterday. Can’t wait to try this! I love your blog and your great recipes! I would love to win the magic bullet! 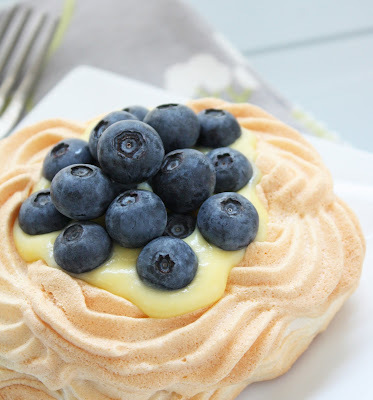 I LOVE the idea of lemon curd in a Pavolova! What a great way to balance the sweet of the meringue… Have I ever mentioned that meringue is my most favourite thing on the planet? When I was in France, I ate about 1.5 million of them. No lie. I am just replying to the first post I saw. Didn’t intend to even sign up for the forum, but that lemon curd recipe of yours is The Bomb. 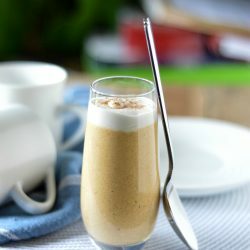 It tastes at least as good as the sugary version and without that sugar-sick feeling and all the guilt and diet setback. Wow! Can’t wait to try your other recipes. I’m late to the game here but had to thank you.